Two soldiers sit beside a pile of empty tins cutting up barbed wire for jam tin bombs. The bombs were made near the beach, a spot popularly known as the 'bomb factory' near Anzac Cove (AWM G00267). War has always driven innovation and technological advances. Over thousands of years the weapons that people carried into battle have evolved, changing from clubs and swords to arrows and guns. In the last century, new technologies have continued to transform the nature of warfare and influence the outcome of wars. In many ways the kit of Australian service men and women today is similar to that used by the Anzacs during the First World War – boots, clothing, protective gear and ways to carry equipment. Yet, changes to the basic combat gear have also been significant. Australians have shown great innovation in times of conflict, from improvised creativity on the battlefield to scientific inventions at home. 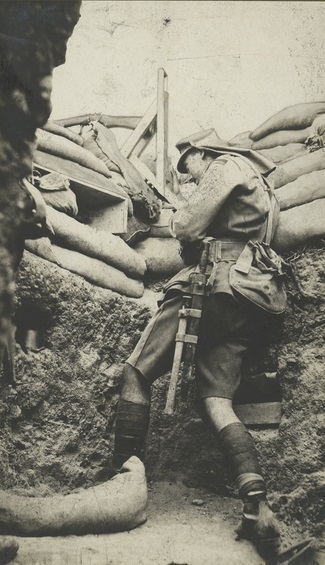 During the First World War, the challenges facing Australians were so great that survival often depended on resourcefulness. An example of this was the development of the periscope rifle for firing from the trenches on Gallipoli. In 1921, Beech was offered 100 pounds by the Department of Defence as a reward for his efforts. Using this rifle, soldiers could target and shoot the enemy without risking injury by raising their heads above the trench. 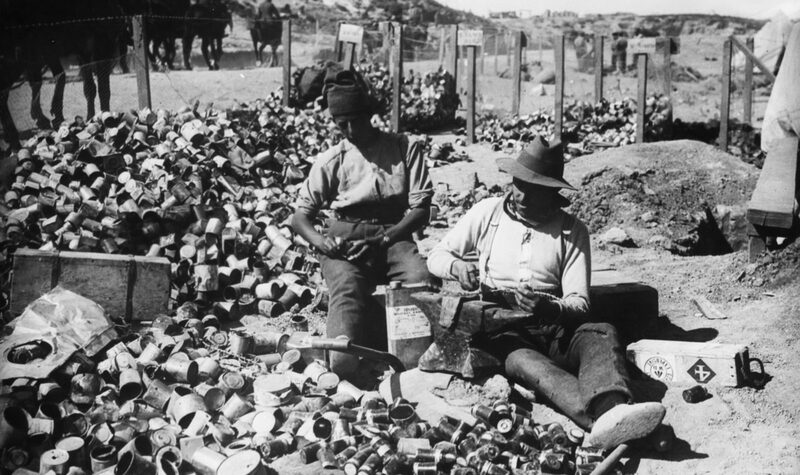 Also, to overcome a shortage of bombs, Anzac troops started a bomb factory, where old food tins were recycled into weapons. Another example of innovation occurred on the Western Front. 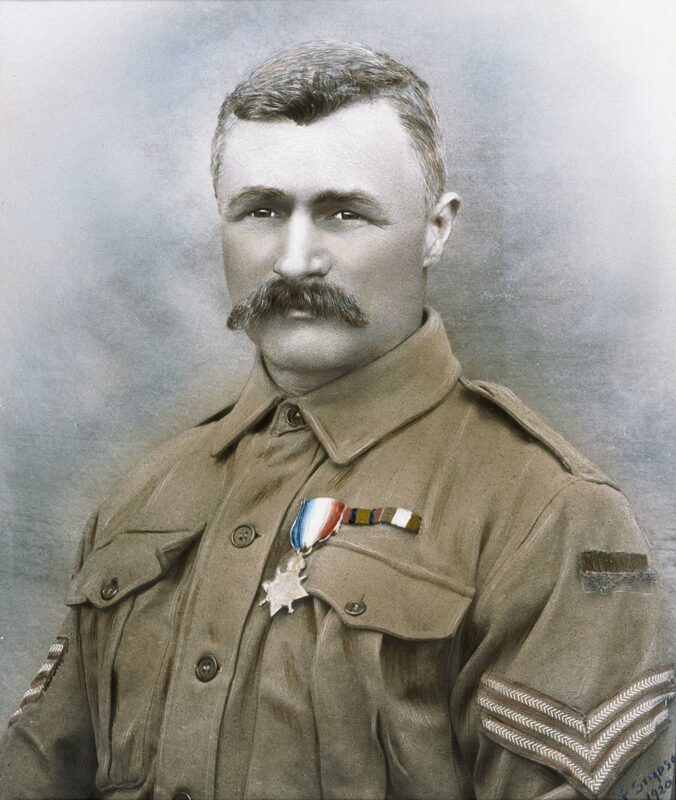 Faced with the challenge of getting fresh ammunition to advancing infantry during battle, Australian Flying Corps pilot Captain Lawrence Wackett developed a method for dropping ammunition by parachute. The spirit of inventiveness was not only in evidence on the battlefield during the First World War. Political leaders in Australia also acknowledged the need for new technologies to support the war effort. After seeing a demonstration of scientific advances in Melbourne in 1915, Victorian Governor Arthur Stanley commented that there was the need during wartime’ to bring that mass scientific power…to the assistance of the country and the Empire’. This was a plea that Australians responded to and the Department of Defence received many designs for new technologies, ranging from a military tank to a ‘defence fence’ to repel enemy fire. At the same time as civilians contributed their design ideas, research into technology was funded and supported by the military. A message-carrying rocket was invented at the Australian Imperial Force (AIF) Research Section and successfully used on the Western Front. The Royal Australian Navy (RAN) also nurtured innovation. HMAS Sydney’s captain, John Dumaresq, designed a platform for launching aircraft from a ship’s deck to combat the threat posed to shipping by German zeppelins, and in 1917 the Admiralty agreed to install the first such platform on the Sydney. However, not all innovation gets recognised. Australia engineer Lencelot De Mole first developed a design for a tank in 1912 and described it as a tracked fighting vehicle. He offered it to the British War Office and later, in 1915, had this model made. His tank was never built but it remains the earliest practical design to have been developed.